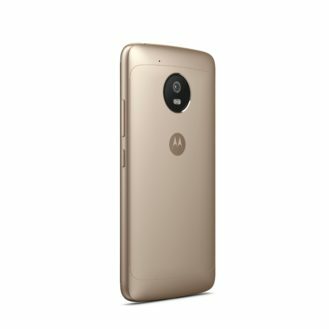 Let's start off with the smaller, lower-end Moto G5. 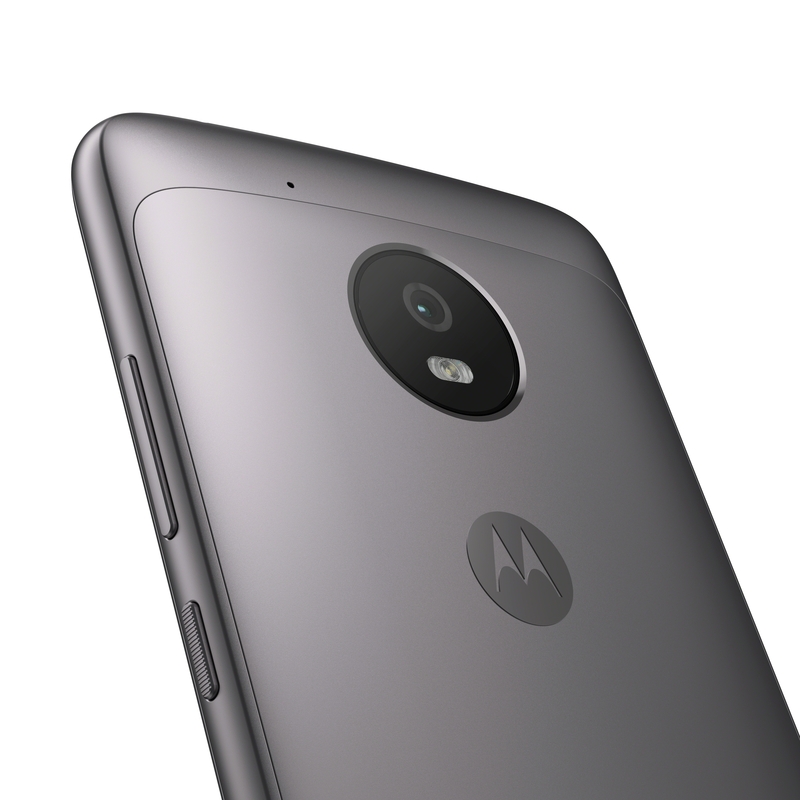 The first thing to take notice of is the new aluminum body, a big departure from the G4 and G4 Plus's plastic constructions. That aluminum body (which is available in Lunar Gray and Fine Gold, by the way) measures in at 144.3mm tall, 73mm wide, and 9.5mm thick - a bit chunky, but nothing unmanageable. 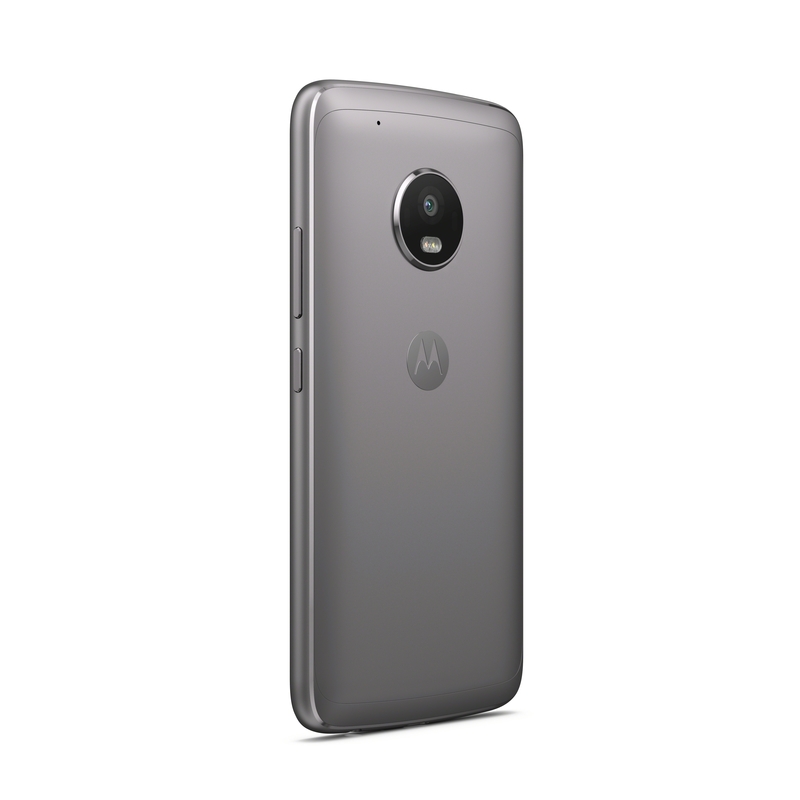 Motorola's signature water-repellent nano-coating is present, as is a fingerprint sensor up front, which wasn't on the Moto G4. Like the G4, though, the speaker shares a space with the earpiece on the top. And yes, there's still a 3.5mm headphone jack. Up front, there's a 5.0-inch LCD 1080p display with 441ppi, which is as good as it gets for a budget-oriented smartphone. That display is topped with Gorilla Glass 3. The phone also features a 1.4GHz Snapdragon 430 octa-core processor, 2 or 3GB of RAM, and 16GB of storage with microSD slot (the omission of a 32GB option is odd). 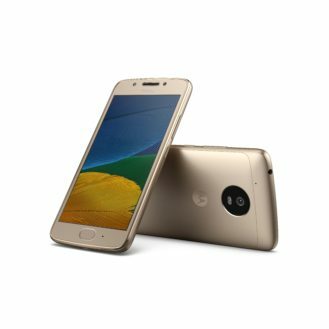 These specs, along with a stock-like build of Android, should make the G5 one of the quicker phones in its price range. However, it should be noted that there is no 802.11ac WiFi present. The G5 sports a 13MP camera with f/2.0 aperture and PDAF (phase detect autofocus). Motorola seems pretty proud of it, despite the fact that it's only capable of shooting 1080p video at 30fps. Also notable is Professional Mode, which appears to be Motorola's name for manual mode. The front-facing camera is a 5MP wide-angle unit with an f/2.2 aperture. 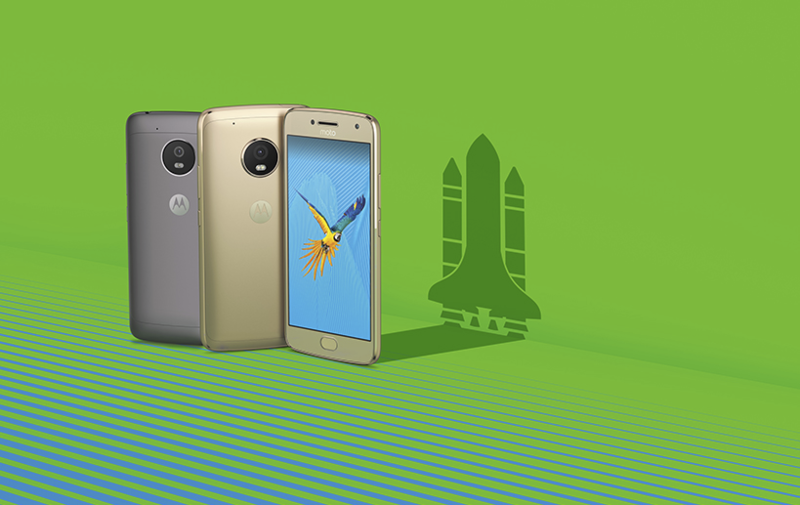 Powering all this is a sizable 2800mAh battery with Motorola's rapid charging. In fact, a 10W rapid charger is included in the box. Unfortunately, Motorola has decided to stick with a microUSB port, likely owing to the phone's budget nature. There's also no NFC, which is pretty frustrating for a 2017 device. Moving on to the more premium G5 Plus, this phone features the same metal construction as the G5 with the same two color choices. Dimensions measure in at 150.2mm tall, 74mm wide, and 9.7mm thick. And yes, there's a 3.5mm headphone jack here too. The Plus has a 5.2-inch 1080p display with 424ppi that also has Gorilla Glass 3. Moving things along inside is a 2.0GHz Snapdragon 625 octa-core chip, 2GB or 4GB of RAM, 32GB of 64GB of internal storage and a microSD slot. Like the G5, the G5 Plus also doesn't have ac WiFi. Camera-wise, Motorola seems to have actually done a decent job. The main shooter is a 12MP unit with an f/1.7 aperture and "Dual Autofocus Pixels," which reportedly allow the camera to focus 60% more quickly than the G4 Plus. Professional (manual) Mode is here as well, and the phone will shoot 4K 30fps video. The selfie cam is the same 5MP f/2.2 unit as the G5's. There's a 3000mAh battery inside, as well as TurboPower, which interestingly isn't branded as such on the G5. Again, there's a microUSB connector and no NFC (edit: it appears that the G5 Plus will have NFC in some regions, but not the US), both of which are pretty disappointing for a phone that otherwise sounds pretty nice. The phone is also universally unlocked, with compatibility for all four major US carriers (Verizon, AT&T, T-Mobile, Sprint), as well as Consumer Cellular. Both phones feature Android 7.0 Nougat, which is the bare minimum for any phone launching right now. 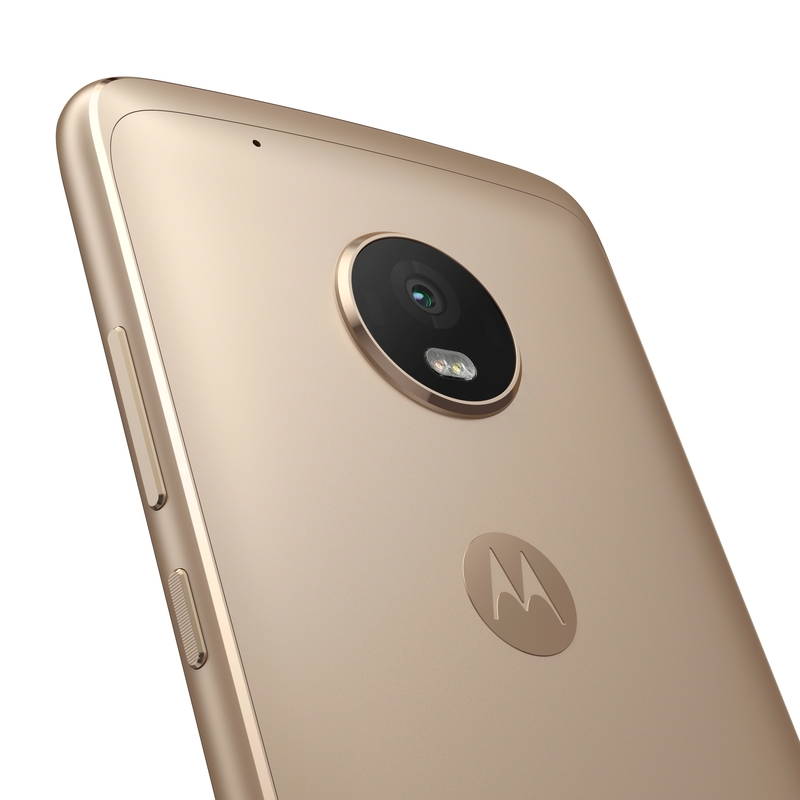 In typical Moto fashion, there are some pretty cool enhancements onboard, including the screen-off fingerprint sensor long-press that we saw on the Moto Z and G4, Moto Display, and Moto Actions. Also notable is the G5 Plus's One Button Nav, which apparently allows you to navigate through screens with the fingerprint sensor. Oh, and Google Assistant has made its way to both devices. The Moto G5 will not be available in the US, but it will start at €199 with 2GB RAM/16GB storage. The G5 Plus will be sold in the US at $229 for 2GB of RAM and 32GB of storage, and $279 for 3GB of RAM and 32GB of storage. 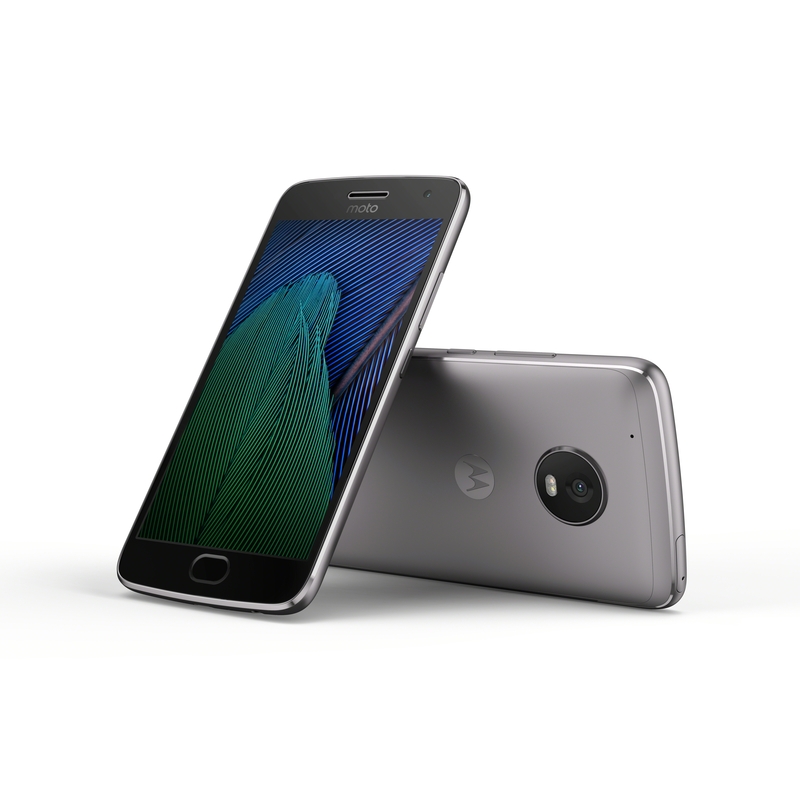 Motorola says that both phones will be available beginning in March.